Flying Colours Corp.’s Peterborough facility has re-delivered its 100th major retrofit of a Bombardier Challenger model. 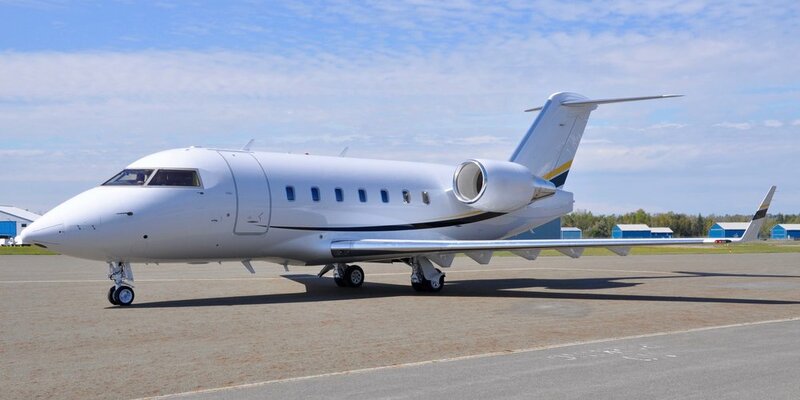 The Bombardier Challenger 604, delivered in the first week of October, underwent a major overhaul of the cabin, avionics, connectivity and fuselage. The Peterborough design team worked with the new owner and current operator to create a stylish interior featuring a black and gold palette. In response to the request for a contemporary cabin including seats with improved comfort, the design team adapted Challenger 650-style seat frames, purchased from Rockwell Collins - Interior Systems, to feature molded armrests that arch perfectly to fit the curves of the arm. Flying Colours has completed 100 Challenger retrofits, with the latest inspired by a gold and black palette and incorporating modified Challenger 650-style seats. The six reclining individual seats and complementary three place divan were finished using a soft but durable black leather with a perforated insert, medium-beige colored leather accent panels, and a single contrasting seam stitch trim in order to bring a modern, yet sumptuously comfortable feel to the cabin. The light trims, buckles and control panels feature a matt gold to contrast with the leather. The customized monuments—including side ledges, panels and doors—are finished with a gloss anigre veneer with each fold out table incorporating a matt-gold inlay accent. The private owner also took the opportunity to update cabin-connectivity with the Gogo AVANCE L3™ air-to-ground connectivity system installed to provide WiFi access for voice, email, web browsing, moving maps, and a selection of movies and TV programs across the North American region. Passengers will also enjoy inflight entertainment courtesy of the Rockwell Collins Venue™ system. The high-clarity touchscreen displays and intuitive controls optimize management of the cabin environment. Both crew and passengers can control lighting, temperature and entertainment choices, as well as view Airshow® moving maps, from their own personal digital devices. The dedicated Peterborough paint shop revitalized the fuselage with a paint job reflecting the interior colors. A partial gold stripe sweeps from the tail to midway along the fuselage and sits above a full black stripe that sweeps in an arc to the front of the aircraft.